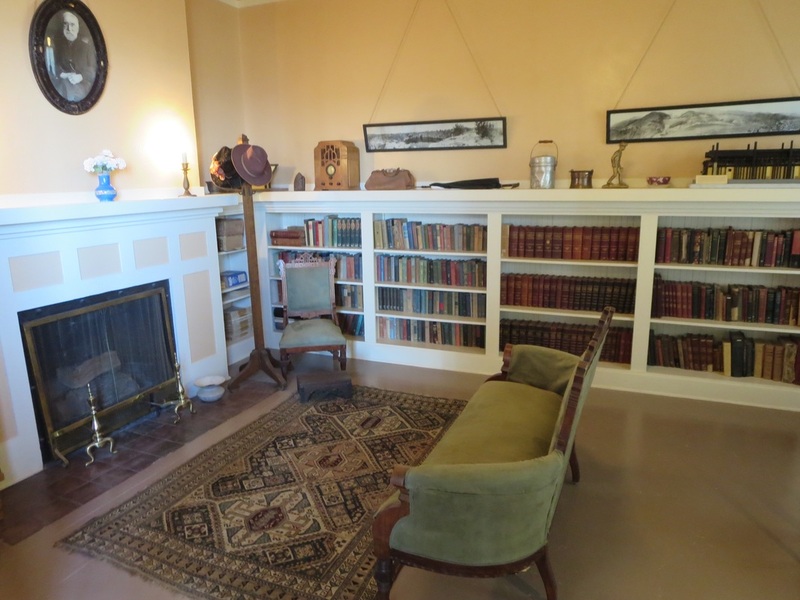 A stop at the 1916 Douglas Mansion, now a state historic park, is time well invested in getting a digestible summary of Jerome's colorful history. 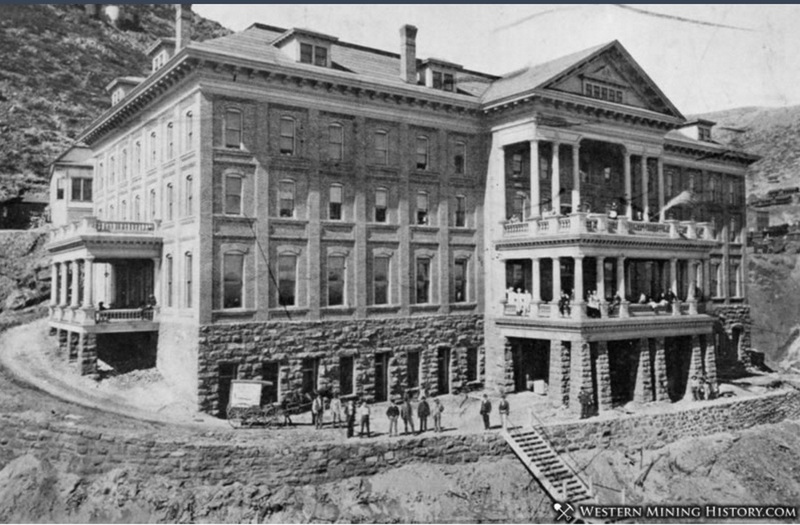 There's a 30-minute film, a collection of photos and artifacts, plus a three-dimensional model of Jerome and its labyrinth of mining tunnels. foot home was built with adobe bricks and is located on an isolated mesa with views of the Verde Valley, San Francisco Peaks and Jerome's commercial district up higher on Cleopatra Hill. The historic park has some picnic tables and it's a good spot for photos of the town. Admission is $7. 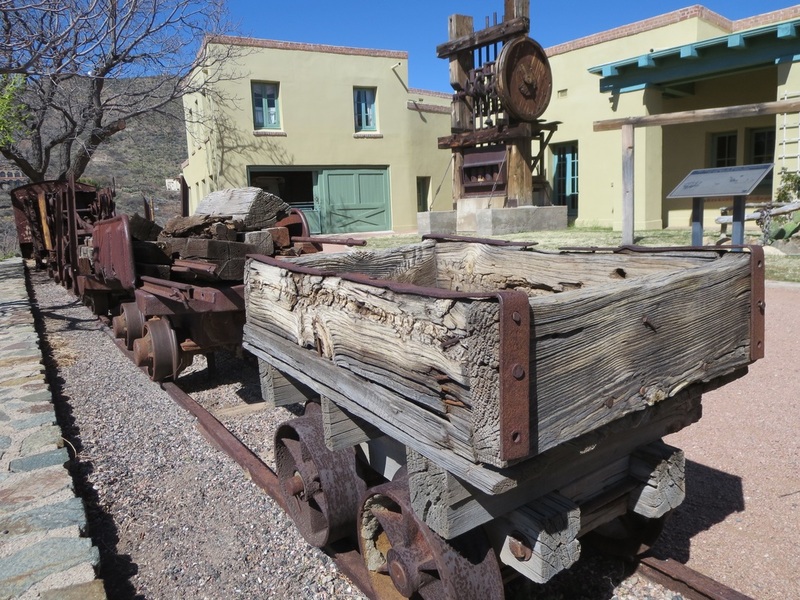 Old ore cars and a stamp mill are among the mining relics outside the Douglas Mansion, with its carriage house in the background. The mansion had steam heat but also a fireplace here in the library. 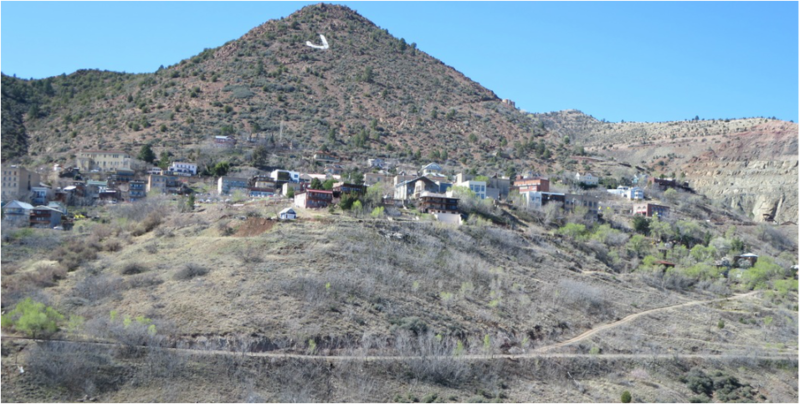 Prospectors staked claims on copper deposits in 1876 and mining continued in Jerome for 77 years before the luck ran out and the town shut down in 1953.